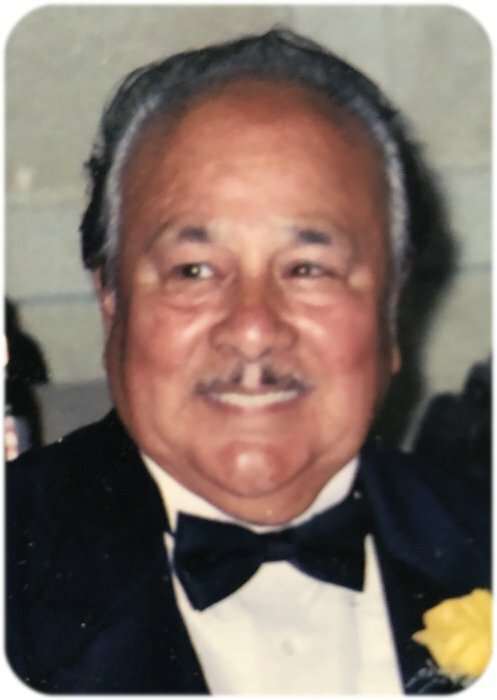 A memorial service for Celestino “Tony” Lopez Abrego II, Albert Lea will be held at Bayview Funeral Home in Albert Lea MN, Friday February 15th at 3:00 p.m., with visitation beginning one hour prior at 2:00 p.m. Father Kurt Farrell will officiate. Military honors will be accorded by local veterans’ organizations. Condolences are welcome at www.bayviewfuneral.com. Tony, the eldest son of 15 children of Celestino and Rosie Abrego, was born June 9, 1930, in Brush Creek, MN. On Saturday February 9, 2019, Tony peacefully passed away at his home. He was 88. It was Tony’s wish to stay in his home, surrounded by cherished memories, until it was his time to be reunited in heaven with his beloved wife, Sarah. Raised next door to each other, Tony and Sarah Garcia grew their love as friends and neighbors, before uniting in marriage on June 21, 1952. If asked, they would say their greatest blessings in life were their 8 children: Rachel, Victor, Delra, Celeste, Vickie, Tony III, John, and Daphney. A veteran of the U.S. Army, Tony was a hard working and determined man. Throughout his life, Tony worked several jobs, often more than one at a time, to support his family. A loving husband and father, he was dedicated to making sure he was able to take the whole family on annual summer vacations. It was truly one of his greatest joys. Tony was also a quietly humble man; it came naturally to him to go out of his way to be kind to others. Tony’s greatest moments in life were time spent with his family. After his treasured Sarah’s passing, he made it a point to continue her tradition of filling their home with all of their children and grandchildren during the holidays. Tony, and his dear friend and cherished dog, Wally, were always most happy when family came to visit. Tony will be greatly missed by all who knew and loved him, but especially so by his children, who not only loved him, but also truly admired and respected him: Rachel Rainville of Sun Lakes, AZ, Victor Abrego of Austin, MN, Tony Abrego and his wife Theresa of Mankato MN, Delra Briones, Celeste and her husband Jimmy Seitz, Vickie and her husband Brad Edwin, John Abrego and his wife Jackie, and Daphney and her husband Matt Maras, all of Albert Lea, as well as 17 grandchildren, 20 great grandchildren, and one great-great grandchild. Brothers, Pat Abrego of Albert Lea, David Abrego of Glen Rose, TX. Sisters, Millie Abrego of Albert Lea, Francis Wilborn and Rosie Sanchez of Glen Rose, TX, as well as many nieces, nephews, and other relatives who loved and adored him. Of special note is Tony and Sarah’s good friend and neighbor of many years, Barb Sorum. Barb was the kind of neighbor who always had time to stop and chat when Tony walked Wally, a smile to give when sharing stories about family, and baked goods to soothe Tony’s sweet tooth. Barb compassionately helped with Sarah’s care when she was ill, and continued to look in on Tony at times when family could not. Barb shared the Abrego’s love of dogs and has now graciously adopted Tony’s sweet Wally, into her family of pets. Tony’s wife Sarah, in 2005, parents, grandchildren Kimberly Jensen, Jerome Abrego, Derek Abrego, Mason Abrego, five brothers, three sisters, and son-in-law Dean Briones preceded Tony in death.